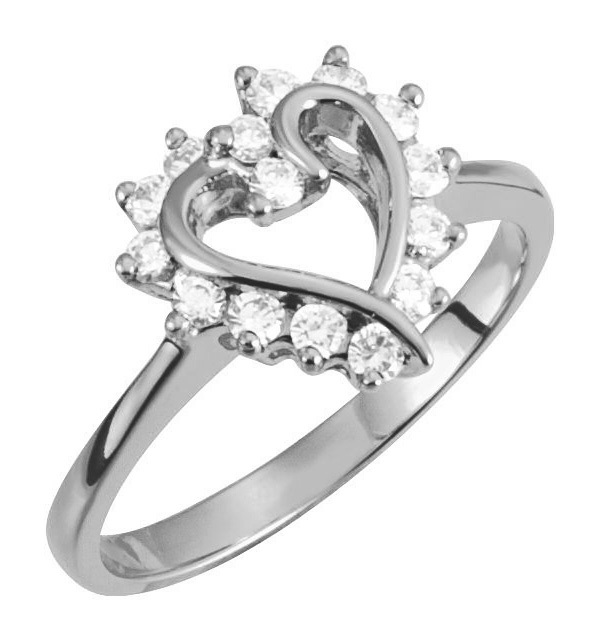 Make her feel like royalty when you give her this 1/3 carat heart halo diamond ring in white gold from Apples of Gold Jewelry! In addition to a princess like appearance, this diamond ring, which is available in your choice of 10K, 14K, or 18K white gold, features fifteen diamonds going around the perimeter of the decorative heart on the band of the ring. The diamonds are rated G-H for color and I1 for clarity, and total 0.30 carats total - plenty of sparkle to make her day! We guarantee our 1/3 Carat Heart Halo Diamond Ring in White Gold to be high quality, authentic jewelry, as described above.